From "Death is not far behind..."
Aleksander Kolevatov remains a “dark horse”, nothing stands out abouthim. At first glance, an ordinary 4th year student of the Physics and Technology Department of UPI, his family goes back many generation in Urals, like some other members of the group (except Semyon Zolotaryov, Georgy Krivonischenko, Rustem Slobodin and Yuri Doroshenko). He is unlikely candidate to be recruited by KGB, it was equally possible to suspect any other participant of the campaign - both Yuri Doroshenko and Igor Dyatlov... However, the assessment of this person immediately becomes ambiguous after reading the documents found by Alexei Vladimirovich Koskin on Aleksander Kolevatov - his character reference and statement of admission to the Sverdlovsk Polytech in 2nd course. This seemingly small discovery allows you to look at the life of Aleksander Kolevatov in a completely new way. What do we see? In 1953, a 19-year-old young man graduated from the Mining and Metallurgical College in Sverdlovsk and was sent to Moscow. And not just in Moscow, but in one of the most secret research institutions of the USSR, created as part of the implementation of the "uranium project". We are talking about the so-called organized in May 1946 as part of the 9th Directorate of the NKVD of the USSR laboratory "B", focused on creating protection against ionizing radiation. This laboratory, which grew literally within a year to the size of the institute, was located first in Chelyabinsk, and after 1949 moved to Chelyabinsk-40 ... yes, that very “atomic city” where Georgiy Krivonischenko worked a little later and where September 1957, one of the world's largest atomic man-made disasters occurred. In January 1953, this nameless "number" institute (PO Box No. 3394) was transferred to Moscow, where over time it was transferred to the Ministry of Medium Machine Building and assigned the name All-Union Scientific Research Institute of Inorganic Materials (the renaming took place in January 1967). From the very moment of its creation, Aleksander Konstantinovich Uralets-Ketov headed this worthy institution, his signature flaunts the description of Aleksander Kolevatov, which was mentioned a little higher. Aleksander Konstantinovich is very interesting to us because his biography allows us to very visually demonstrate the close relationship between the state security bodies and the military industry supervised by these bodies. Born in 1902, Ketov (Uralets is a pseudonym taken back in the years of the Civil War) successfully made a career in the Cheka-OGPU-NKVD-MGB up to 1953. Starting his career in Perm Cheka in 1920, he was by April 1944 the city was promoted to Colonel of State Security, deputy chief of the Tagil Forced Labor Camp of the NKVD. At the front, the comrade Colonel of State Security did not serve, he endured all the dangerous years in warm places in the deep rear, more and more in the environs of Chelyabinsk, Sverdlovsk and Nizhniy Tagil. By the way, this did not prevent his successful career. In May 1946, the career of a colonel made an unexpected somersault: Pavel Yakolevich Meshik, deputy head of the Main Directorate at SNK, engaged in the development of atomic weapons, attracted Ural-Ketov to participate in the Soviet "atomic project". And the colonel, without any technical education, became the head of a special laboratory, which later grew into a secret institute. Aleksander Konstantinovich in a certain way touched upon the events connected with the notorious “denunciation of Beria’s group”, since Meshik was in this group, was arrested and was put on trial. The court in December 1953 handed down the death sentence to Lieutenant General Meshik, and Uralets-Ketov remained out of business for some time. They looked at him as a Beria protégé, promoted by one of Beria's henchmen, and for some time were removed from the leadership of the institute. In 1953, the colonel was dismissed from the MGB system, for more than two years he was considered to be in the "existing reserve", and in October 1955 he was also removed from there. In the end, he was able to prove that he was not a Beria protégé, and returned to the institute, which he headed for more than 20 years. Such an interesting career - from the leaders of the Gulag to the ranks of the foremost technical intelligentsia, in a sense, the technocratic elite of society. It was very, very difficult to get a job in Moscow in the early 50s. The capital provided its residents with the maximum possible amenities - a well-organized supply of grocery and industrial goods, a stable urban transport, public order, and exemplary utility services. Here were the best theaters and the most interesting art exhibitions, literary novelties appeared here, the intellectual color of the Soviet society worked here. It is no coincidence that Aleksander Tvardovskiy wrote about Moscow in those years: “they are rewarding with the capital”. The propiska system worked in such a way that it cut off everyone who came to look for work on their own. Only Muscovites received work in Moscow, and finding a job for a nonresident resident in the capital meant pulling out a winning lottery ticket. The situation of those years related to getting a job in Moscow was described very well by Army General, First Deputy Chairman of the KGB, Philip Denisovich Bobkov in his momoirs. In 1946, he graduated from the SMERSH school in Leningrad, located on Gorokhovaya Street, Building 2, and received a referral... to Moscow. Bobkov was originally from the south of Russia, from Makeyevka, a large center of the coal industry. He was, however, sent to Moscow, and this happened because of an anecdotal error: the secretary of the personnel department read the carelessly written word "Makeyevka" as "Moscow" and put the personal file of cadet Bobkov in a pile of "Muscovites". When the technical error was clarified, it was too late to correct the situation - the list of Muscovite cadets went "ordered" by the Minister of State Security. No one ventured to call Moscow and honestly say "we made a mistake". As you know, Viktor Abakumov could have killed with a word (such historical legends are known), therefore, telling the minister that he had signed an incorrectly drafted order was concidered a suicide. In the end, Bobkov came to Moscow, where, by the way, in 1955 he interrogated some of the parachutists caught by Boris Pasha. In general, the very informative memoirs of F. D. Bobkov “The KGB and the authorities” can be recommended for attentive reading to all those who are interested in national history in general and the history of domestic special services in particular. We will return to the lucky lottery ticket called "Moscow pass". Aleksander Kolevatov pulled out such a ticket. A graduate of a quite ordinary mining and metallurgical college from distant provincial Sverdlovsk managed to get to Moscow, to a secret scientific research institute. In principle, a very good start in life is a stable job with a 15% surcharge for secrecy, a residence permit in the capital, a place in a hostel, a feeling of belonging to a great public matter (which is very important for a young man). Aleksander was surrounded by interesting people; he turned out to be involved in the most advanced scientific search in the world (albeit as a senior laboratory assistant); he found time for leisure and hobbies - was engaged in target shooting, went on treks. During his "Moscow period" of life, Kolevatov visited Mount Saber in the Subpolar Urals, about 300 km. north of Otorten. He was not drafted into the army, since work at the defense research institute provided Aleksander with an "armor". In general, not a bad start in life, not bad at all. As a senior laboratory assistant, Aleksander Kolevatov worked as juniour specialist for 3 years - from August 1953 to September 1956. In 1955 he entered the All-Union Correspondence Polytechnic Institute (ACPI). The purpose of admission is obvious - getting higher education with no mush sweat. Correspondence education in Soviet times was considered a “freebie”, since the load on full-time students was much higher. The "correspondence students" were, as a rule, non-resident people, had work experience, were often burdened with families, and the teachers treated them with a certain degree of condescension. Meanwhile, the diplomas of correspondence and full-time studies were no different and the diploma obtained after the end of the full-time department did not give any privileges to its owner. For Aleksander Kolevatov, training at the ACPI was a real gift - he continued to work quietly in the Moscow "mailbox", enjoyed paid vacations for the sessional period and, without burdening himself with his studies, could wait until he had become the owner of the cherished blue book with embossed inscription "Diploma". However, after the end of the first course in the All-Union Correspondence "Polytech", something strange and illogical happened in the life of Kolevatov - Aleksander suddenly decided to change the institute. And not just the institute, but also the form of education - instead of correspondence, to become full-time student. And therefore, quit work. And since he decided to study at the Sverdlovsk UPI, he also had to change his place of residence: abandoning Moscow, returning to Sverdlovsk. This decision is completely inexplicable and at a lost from all points of view. Drawing parallels with the modern way of life, we can say that the person abandoned a career in "Toyota" and returned from Tokyo in order to pool weeds in a dacha in his native Uryupinsk. Not that Uryupinsk is a bad place by itslef, but life prospects there can't compare with those in Tokyo. It is naive to think that young people in the mid-50s of the last century were not pragmatic and didn't have common sense. And let the cinema and literature of those years diligently paint in front of us images of such fanatic members of the Komsomol with a glowing look of astonishment, in fact the youth of that time was far from one-dimensional. In the remarkable and very informative work "Unknown USSR: the opposition of the people and the authorities" one can find a deep analysis of the state of the youth environment of those years. There was a place for both the criminal subculture, and chauvinism, and oriental romance, and political skepticism - in general, the life position of the youth of those years was determined by the impact of this cocktail of conflicting (and sometimes incompatible) feelings and emotions. There was a place at that time for youth gangs and groups organized according to the principle of territorial or national community; there was a spontaneous hatred against "cops and the party", the mention of which we will not find in the pathetic novels and films of those years. The youth in the army was the most distinguished mansion, and many of the riots of that time were directly connected with the actions of either the soldiers or the mobilized youth (not to be confused with the current hazing!). In general, V. A. Kozlov’s book "Unknown USSR: Opposition of People and Authorities" 1953-1985, Moscow, OLMA-PRESS, 2006, can be recommended for reading to anyone who is interested in forming an objective understanding of the Soviet society in "Khrushchev" times, to feel the dissatisfaction from the apparent one-sidedness of the official historical doctrine. In the context of the theme of our essay, we would like to note that Aleksander Kolevatov was certainly not an elf who came to the Khrushchev USSR from a magical forest. There is no doubt about his pragmatism and the ability to see his own profit. This makes his move from Moscow to Sverdlovsk even stranger. This move did not solve any problems, only created new ones. Kolevatov was losing his job and, accordingly, he faced the task of replacing the money that had fallen out of his personal budget. Instead of a measured study in the correspondence university, which required tension only for the duration of the sessions (moreover, at that time he received paid leave at his place of work! ), Kolevatov had to adapt to a completely different schedule, much more intense. Of course, having become a full-time student, he received all the bonuses that adorn student life at all times, but still this can not be the cost to have some fun. And most importantly, Kolevatov changed the Moscow residence permit to Sverdlovsk, and in those days it was a completely unequal replacement. Moving to Sverdlovsk could be explained by dismissal from work, they say, having lost a source of income, Aleksander decided to return to his homeland. But we know that the order of events was reversed - Kolevatov was first transferred from the correspondence “Polytech” to Sverdlovsk and only then was dismissed. Moreover, the reason for the dismissal was just “going to study at the university”, i.e. at UPI, because study at the All-Union Correspondence Polytech did not interfere with work. Why do this? This suggests a clear analogy with the situation that we saw in the case of Semyon Zolotaryov, i.e. the man moved to the Urals from a much more prosperous region. A person decides to take such a step not at all because of altruism, no one in the USSR refused to go to Moscow residence only in order to be closer to his girlfriend or his sick mother. For such a step, not only very strong reasons were required, but permanent bases, i.e. such, the action of which will persist for many years. Just these bases can not always be seen or correctly interpreted by others. Obviously, studying at the Sverdlovsk "Polytechnic" gave Kolevatov some serious advantages that it was impossible to get in the ACPI. What could that be? First of all, in the Sverdlovsk "Polytechnic" there was a military department, training on which allowed graduates to receive the title of reserve officer. Correspondence form of education in ACPI did not provide for such a possibility. The presence of the officer’s rank served as a guarantee against being called up for active military service as soldier. However, in order to work at the Moscow Institute, Kolevatov did not really need this rank — the Minsredmash Research Institute could provide him with a deferment (this provision was not generally accepted at that time and, moreover, it was necessary to extend the delay every year until the onset of old age). But the unusual situation of Kolevatov was that it was good for him to be called up for active military service from Moscow - his job was guaranteed on his return and in addition he would have been restored not as a juniour specialist with a temporary residence permit in Moscow, but a permanent worker. With the provision of living space. Thus Aleksander Kolevatov could turn into a 100% Muscovite and at the same time safely get an engineering degree, having graduated from the All-Union Correspondence “Polytechnic”. However, this option definitely did not suit him. There is no doubt that Aleksander had a different plan for his life. And this plan definitely call for getting a rank of reserve officer. As is known, after the massacre of Beria and the "Beria gang", Nikita Sergeevich Khrushchev and his associates decided on a full-scale reform of the USSR state security system. The demolition was cardinal and was carried out in several directions at the same time. The KGB of the USSR, created on March 13, 1954, was very different from the state security apparatus created in the post-war years. And, for the better. The methods of work became much more civilized and humane. As early as September 1953 Bureau №2 of Special Operations inside the country disappeared and never again appeared. For the first time in the history of the Soviet state security operational work was organizationally combined with counterintelligence (in the framework of the Second Main Directorate), etc. But the most significant was the change in the requirements for the personnel of the special services. Khrushchev can hardly be called a technocrat, but for all its apparent simplicity, he was very respectful of people who had a technical education. One of his sons was a pilot, the other worked in the rocket design bureau, which on its own says a lot. After the arrest of Beria in the state security organs, a large purge was carried out, a large number of experienced workers either retire, were transferred to work at the police, or lost party membership and military ranks. The total number of dismissed reached, according to various estimates, 16 thousand people, among them more than 40 generals. Beginning in 1954, they were replaced by young employees of the new formation - not just young, healthy and dedicated to the party, but also with higher education. For the security officers of the previous period, it was the norm for an employee without any special education to be engaged in operational work for a long time. From the second half of the 50s, the requirement of having a higher education, which, by the way, persisted until the collapse of the USSR in 1991, became a requirement. Graduates of technical universities (civil or military) were preferred, from the humanitarian disciplines the KGB were mainly lawyers. A big plus for the candidates was knowledge of foreign languages, as well as sporting achievements, primarily in strength sports (wrestling, boxing, weightlifting) and shooting. The logic of the Khrushchev reforms was clear: why take an ignoramus to the authorities and for several years try to make him an educated person, if you can initially select only literate people? Many KGB employees of the “Khrushchev generation” made a good career in state security, rising to the Perestroika and even the collapse of the USSR. 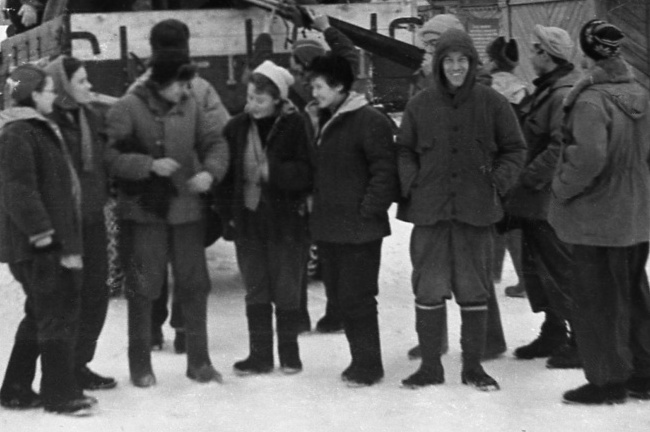 For many years their human qualities determined the style of work of this department, which favorably differed from the mayhem that could be seen in the Stalin era. After graduating from a military or civil university, a young officer who had already received an officer’s rank enrolled to the Committee was sent to receive one-year Higher Training Courses for operational personnel that existed in Leningrad, Minsk, Novosibirsk, Sverdlovsk, Tashkent and Tbilisi (border guards and intelligence officers had their educational institutions). Higher Red Banner School of the KGB. Dzerzhinsky in Moscow was focused on training the Committee’s personnel from among those who had served in active military service and did not have an officer’s rank (including warrant officers). The Moscow Research Institute, in which Aleksander Kolevatov worked as a senior laboratory assistant, was permeated by KGB officers or by the Committee’s agents. The practice of seconding state security staff to government agencies and industrial enterprises began in the late 1920s last century, with the end of the NEP (New Economic Policy). In the staffing of any more or less serious organization, there were positions intended to be replaced either by state security staff members or by the existing reserve staff (for us, the difference between them is irrelevant). In this case, the entire institute was headed by a colonel of state security with more than 30 years of experience, one might say, a veteran of the Cheka. And besides the obvious "KGBists", there were agent networks (so-called "lines") in important defense enterprises, scientific research institutes and institutions of strategic industries, similar to those described above. Only they were created and supervised not by the secret-operational part of the local administration of the GB (State Security), but by the counterintelligence unit of the same department (although, recall that since March 18, 1954, the secret-operational and counterintelligence support were organizationally combined in general units). There is no doubt that Kolevatov was well known to the curators from the enterprise mode service and, moreover, he was known from the best side (according to the character reference). Kolevatov obviously wanted to make a career in the field in which he worked - that is why he entered the All-Union Correspondence “Polytechnic”. But then he received a more tempting offer - young, healthy, sports Komsomol members were so necessary to the State Security Committee! Aleksander Kolevatov is an excellent athlete, a hiker, a member of the Komsomol bureau of the unit, leads the rifle section, has the third adult level in shooting. Well, the rank, we suppose, is not the highest, but the Committee will learn ...! Until now, we’ll measure the hardness of vanadium alloys according to Rockwell and Brinel, or maybe there is a desire to do another, more responsible assignment? ”They could have asked Aleksander during a talk in the office of the deputy director for the regime. And Kolevatov did not reject the proposal, because no one would have refused in his place. Such a proposal was prestigious, it testified to the complete trust of the management and promised an enchanting life perspective for the Ural chap. But a correspondence student in “polytechnic” was not suitable for such a career. He needed a full-time form of training - with the military department and shoulder straps of the reserve officer at the end. Therefore, there was this very intriguing transfer to Sverdlovsk, in the UPI. Why intriguing? Because in the USSR it was not customary to transfer from correspondence education to full-time (on the contrary - easily, but from correspondence education - you get tired of asking, it was easier to quit and re-enter). Why? - an interested reader will ask, accustomed to the commodity-money relations of the last decades and unable to understand all the intricacies of the administration of a high school that has long since disappeared from the state. There were two reasons for this: firstly, the already mentioned difference in part-time and full-time education programs, the very “tardiness” of correspondence students, of which the teachers were well aware. And secondly, full-time education, as opposed to correspondence education, gave a “armor” from the army, a deferment, and a person who wanted to make such a transition was considered someone that wants to avoid drafting in the army. If the institute received a request for such a transfer, then the reaction: “Another smartypants wants to run away from the army! Admitted as correspondence student, and when it came time to carry the "ninth" form in the draft board, decided quickly top transfer to full-time! No, no, no, let him pull a soldier's strap like everybody else!" Kolevatov would never have transferred from the All-Union Correspondence to the full-time department of the Sverdlovsk Polytech if someone powerful would not have asked for it in secret. Kolevatov was transferred, which means that there was a convincing request. There is a very interesting nuance in this transfer - it lies in the fact that the programs of different institutions are somewhat different. And although the first course in any technical university is always basic, designed to compensate for the flaws of school, even its programs in technical universities differ. Not to mention the fact that even within the framework of the same course, the requirements of teachers could be different as well. In general, the transfer from the All-Union Correspondence “Polytechnic” to the full-time department of the Sverdlovsk UPI was not impossible, but difficult to implement in reality. Kolevatov, however, managed to transfer successfully. It is clear why Aleksander was transferred to UPI. Firstly, he returned to his native home, which facilitated household arrangements, and secondly, the Sverdlovsk "Polytechnic Institute" trained specialists to work at nuclear facilities in the Urals and Siberia. While studying at UPI, Kolevatov had the opportunity to meet many of his future colleagues in an informal setting, which increased his value as a future counterintelligence officer. There is another very interesting point to our attention. Aleksander Kolevatov had a Finnish knife with a black handle and leather sheath. In principle, it was impossible to surprise anyone with this kind of knives at that time, camp craftsmen were sharpening similar products from saws and files, with the popular “makeshift” handles from plexiglass or textolite rings (such knives immortalized Vladimir Vysotsky in his song) Neither dare nor risk, but took the risk // Make knives from files! // They will stick into lungs // Black nicotine, // Tri-color dials // Light handles (...) "). But Kolevatov had a Finnish knife was registered at the police station, and he had a permit to carry it. For those times unprecedented law-abiding! Especially if we take into account that every second student of a FZU (middle professional technical school) in those years either had a screwdriver, an awl, or a file in the pocket of the quilted jacket, and with the onset of twilight youth gangs controlled entire urban areas. There can be only one explanation for this: Kolevatov did not want a single black spot in his biography, which even a trivial drive to the police for illegal possession of cold weapons with the registration of the relevant protocol could become. Such attention to the purity of the biography can be demonstrated only by a person who associates with great formal life prospects the formal impeccability of the questionnaire. A drive to the police could not serve as a basis for expulsion from the institute or from the military department, in other words, this kind of problem could not interfere with the engineering career of Aleksander Kolevatov. Nobody would put him in jail, he wouldn’t deprive him of freedom, well, they would reproach him at a Komsomol meeting, would have reprimanded him (not even a reprimand) - that's all! Basically, no big deal. However, a single drive to the police could be enough to deny admission to the KGB. If Aleksander in 1957 really got into the personnel reserve of the Committee and he was promised admission to the special service after the end of "Polytech", then he was also told about the need to completely eliminate any, even the most minor, violations of the law. Observing this requirement, Aleksander went to register his knife at the police station. Summarizing all the above, I would like to note: we cannot assert with absolute confidence that Aleksander was firmly associated with the Committee, however, the high probability of that is evident from the unusual circumstances of his life.